The Galaxy Note 7 is coming back from the dead at possibly half the price and with a smaller battery pack. We already know that Samsung will eventually resell its stockpile of refurbished Galaxy Note 7 smartphones back to the public in order to recoup some lost revenue from last year's PR disaster. The latest reports, however, are claiming that the "new" Note 7 smartphones could be available as early as June in certain regions. Sources close to major South Korean newspaper Chosun Ilbo are saying that these Note 7 units could come to the South Korean market as the Note 7R and may feature a smaller 3200 mAh internal battery compared to the 3500 mAh battery of the original. Its Android software would also be updated to 7.0 Nougat from the original 6.0 Marshmallow. Samsung intends to relaunch the Note 7 ahead of the impending Note 8, but have otherwise given no concrete details as to when or where users can expect the devices to come. For reference, the original Note 7 launched in August 2016 for around $850 USD in the US. 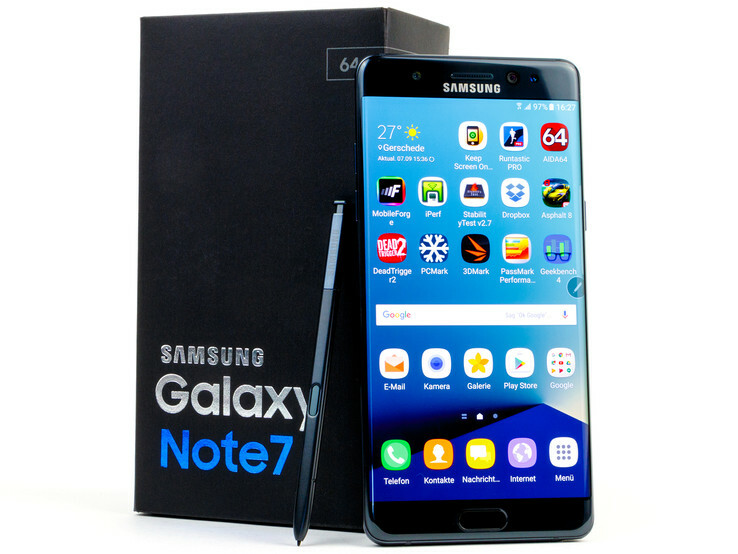 The Note 7R is rumored to sell at just half the price to make it an extremely attractive offering against current flagship devices and even on the eve of the eventual iPhone 8 launch time frame. In our full review, for example, we praised the smartphone for its display, camera, battery life, and IP68-certified design. We'll likely hear more from Samsung themselves in the coming weeks if the rumors prove to be true.